Yin Yoga is a slow-paced style of yoga done primarily on the floor with postures that are held for longer periods of time – ranging from 45 seconds to five minutes or more. 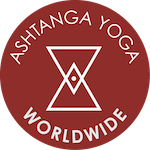 Ashtanga Yoga Worldwide will be hosting a fun community event, “Chat & Chai,” on Sunday, April 28th at 12:30pm. Join Greg and Amanda for 30 minutes of breathing and chanting followed by Chai tea and conference. Bring your questions and let’s talk about practice! Customer can receive a full refund up to 72 hours of the workshop. Customer can receive a studio credit within 48 hours of the workshop. No refund or studio credit for no shows.